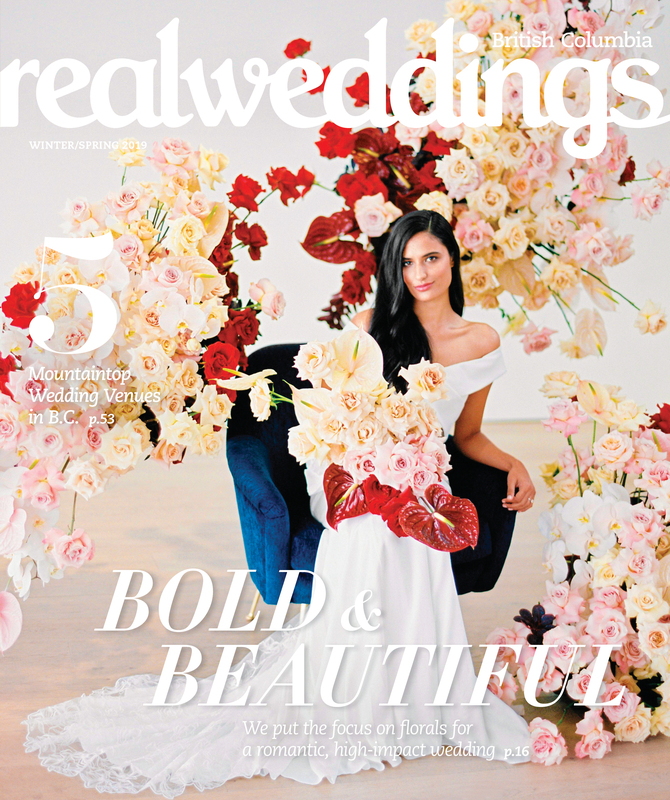 "The concept of this shoot was to show that couples can achieve the look they have in mind with different budgets, through using different levels of details (a simpler version versus a more glammed-up version). 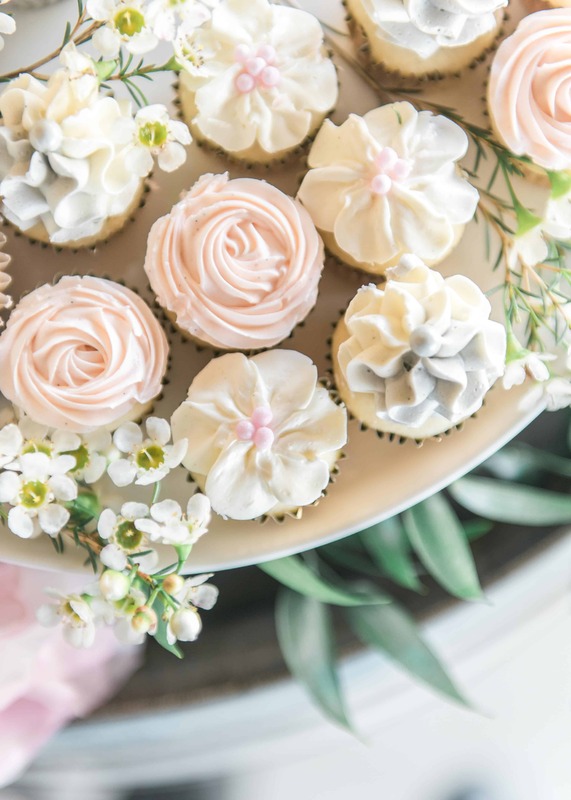 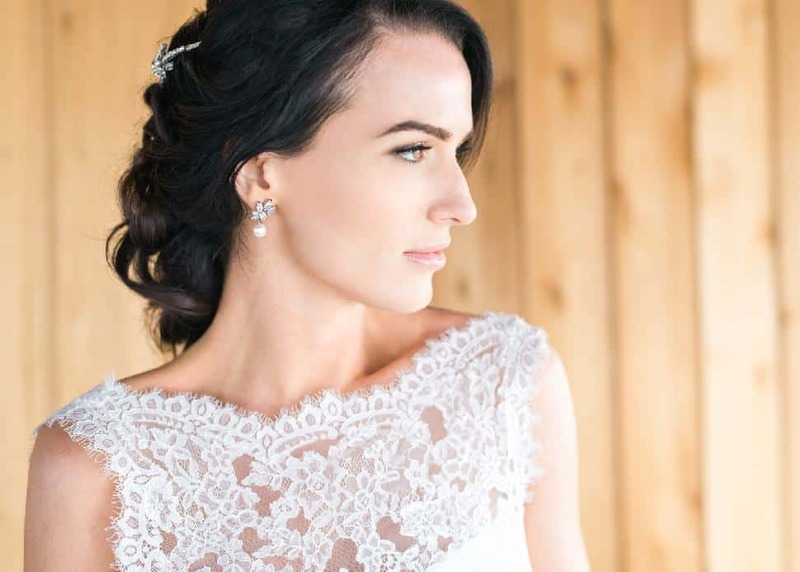 "As wedding vendors, we have come to realize that sites like Pinterest can be both a bride's best friend and her worst enemy. 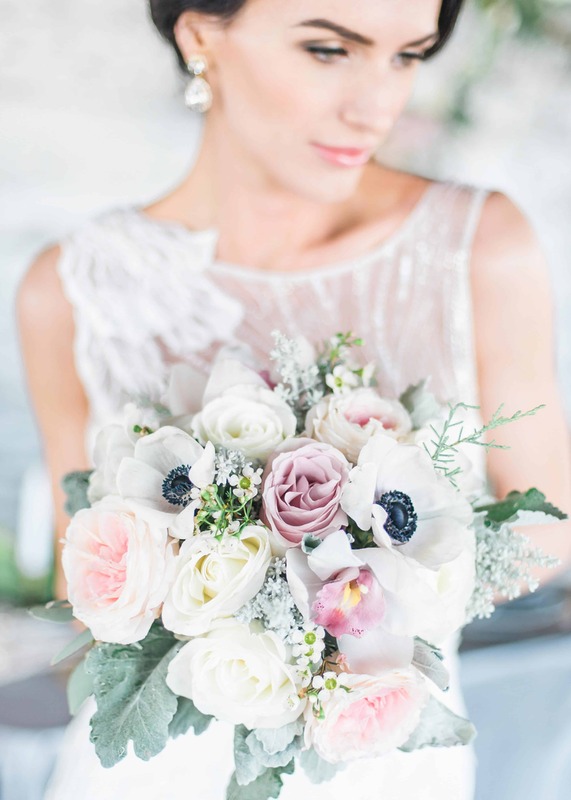 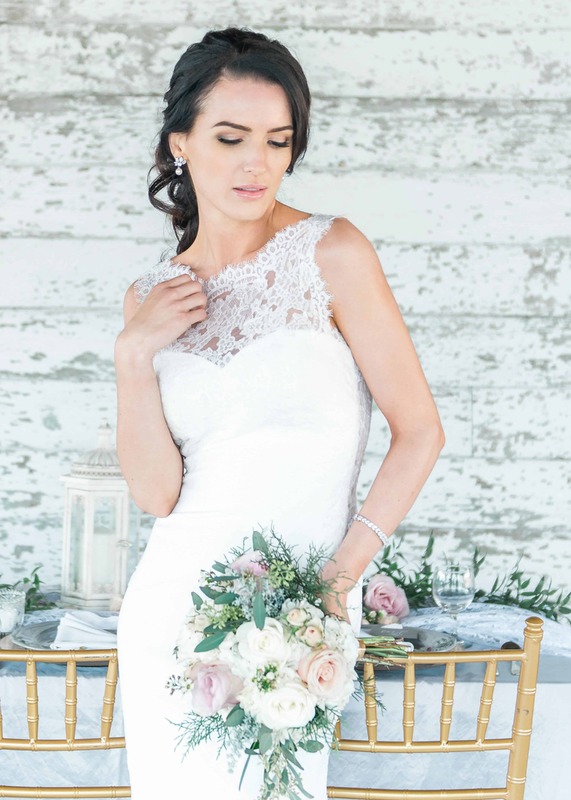 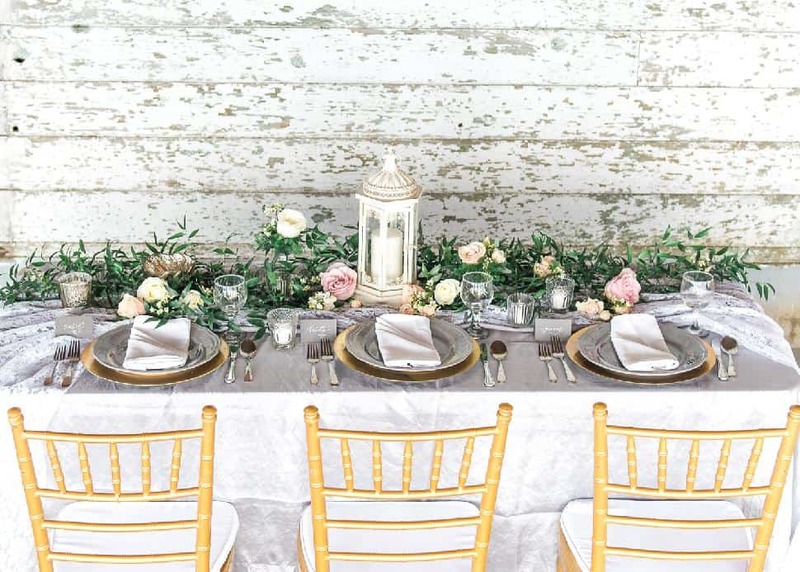 These sites are full of styled shoots and even real weddings that have top-of-the-line budgets. 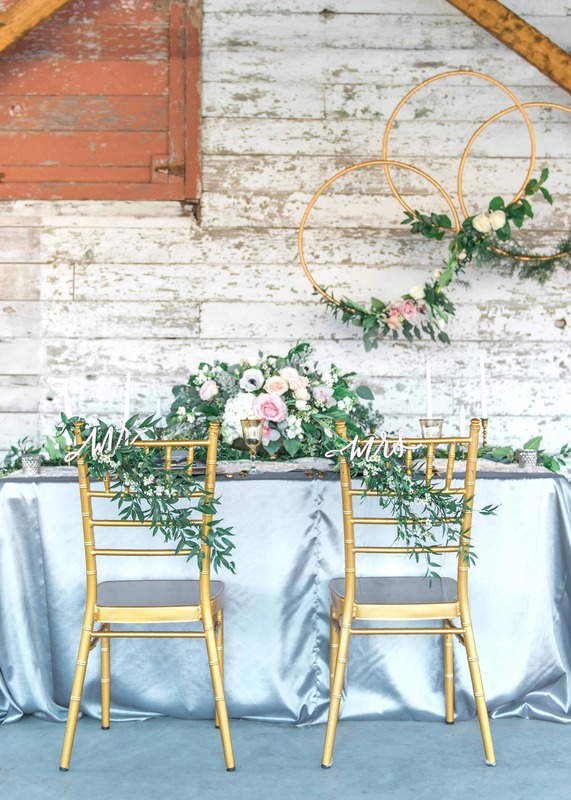 In many instances, this isn't conveyed to the couples who are using these photos for decor or theme inspiration and when they take these ideas to their planner, decorator or florist, they can feel very overwhelmed by the cost. 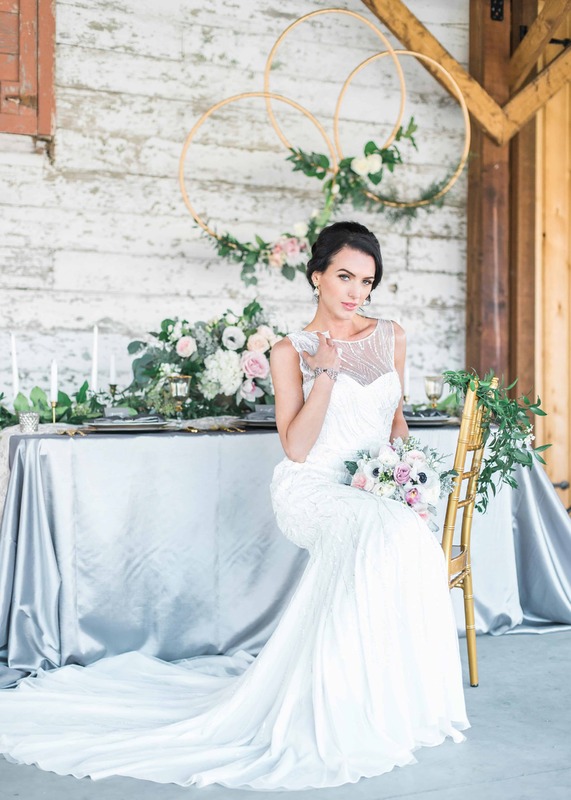 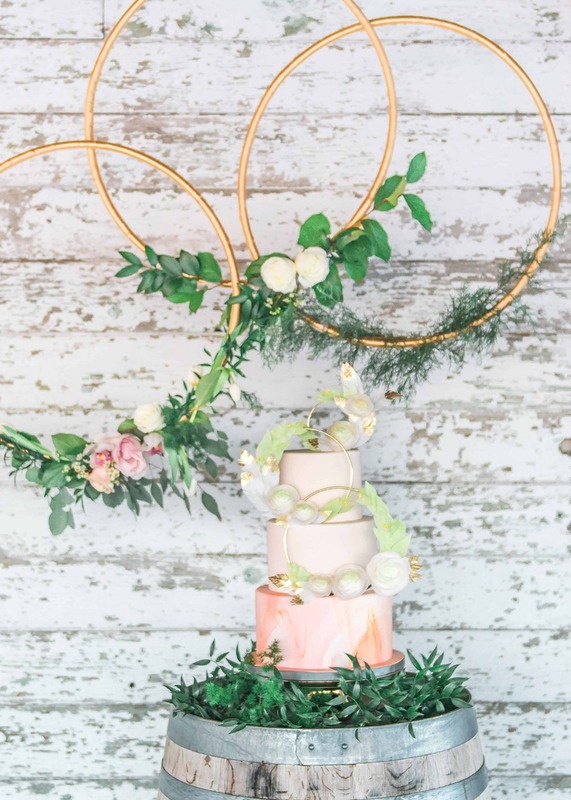 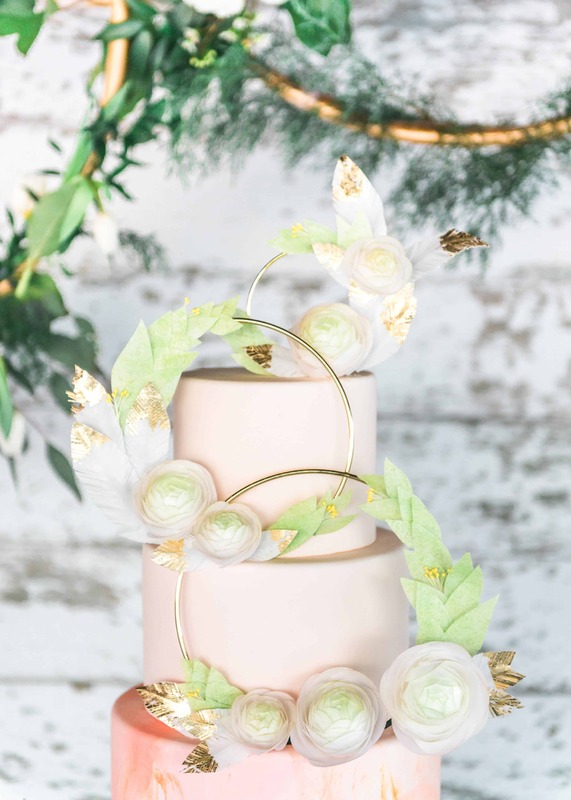 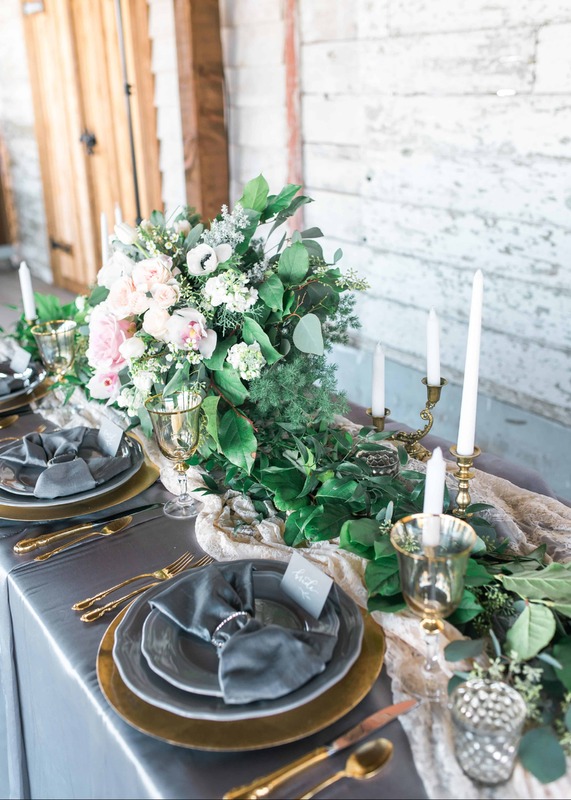 "The team of vendors for this styled shoot wanted to try and help with this challenge by doing two looks that had similar feels in regards to decor, but that had a difference in overall cost. 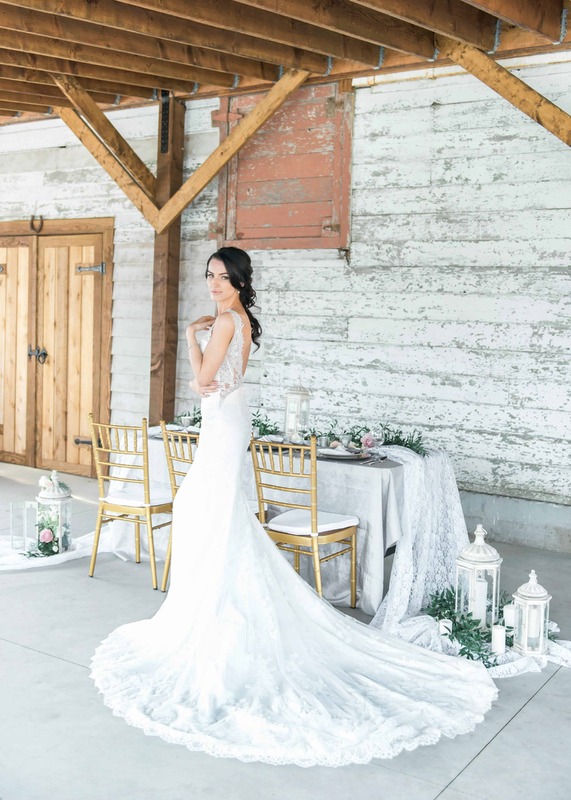 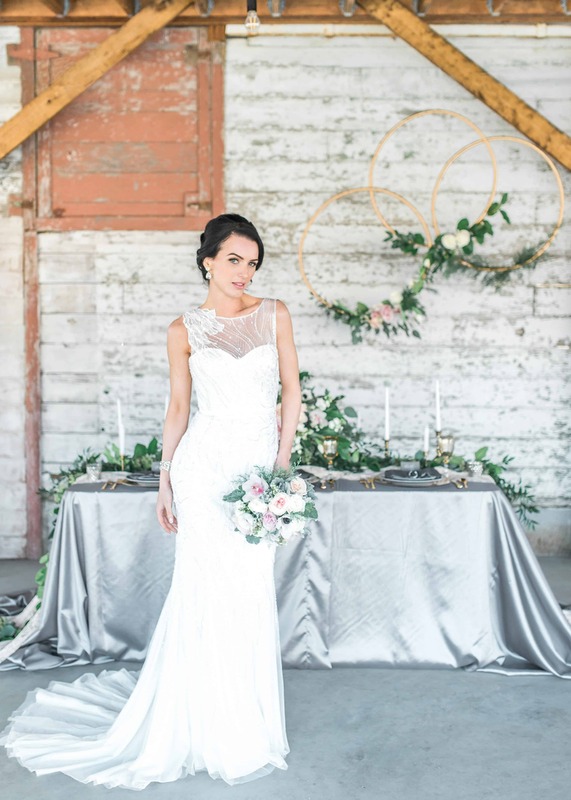 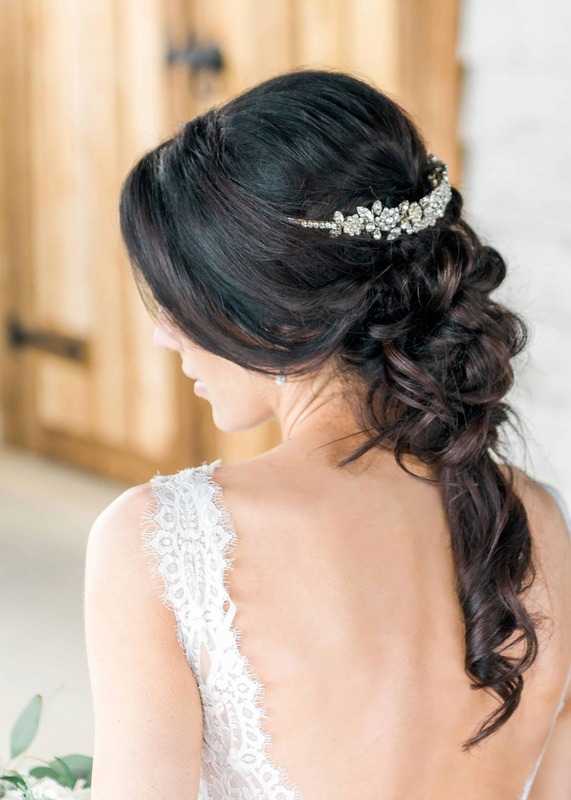 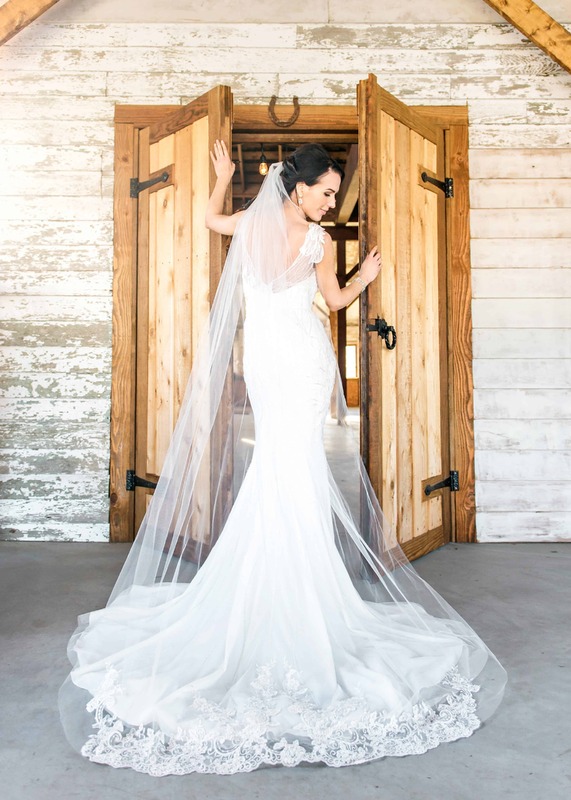 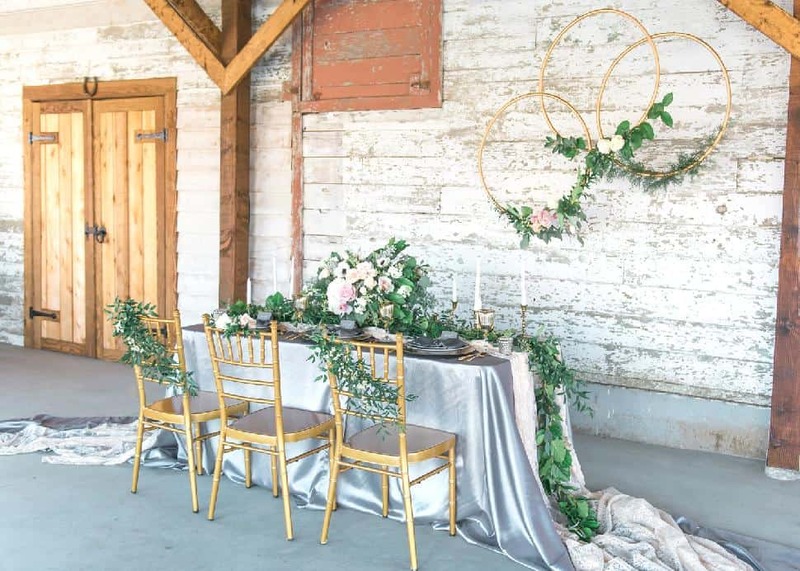 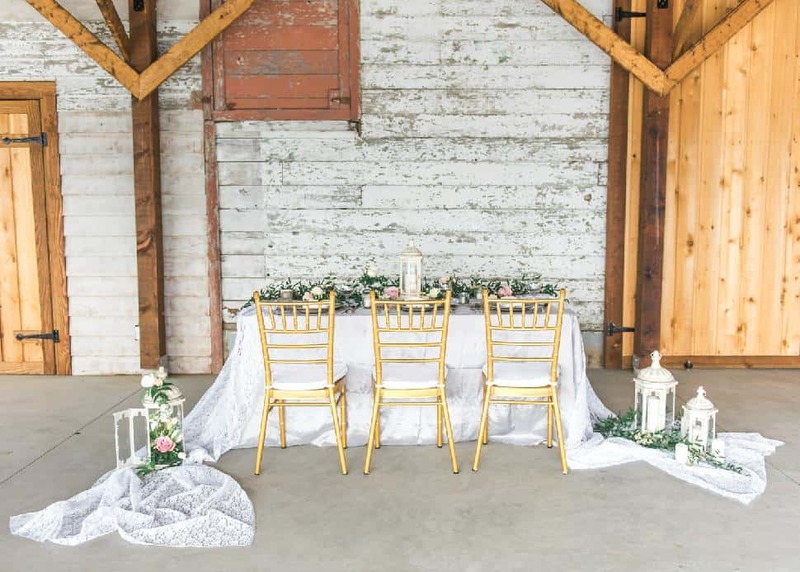 The main colour theme is white, grey and gold, with a rustic glam overall feel at a barn location. 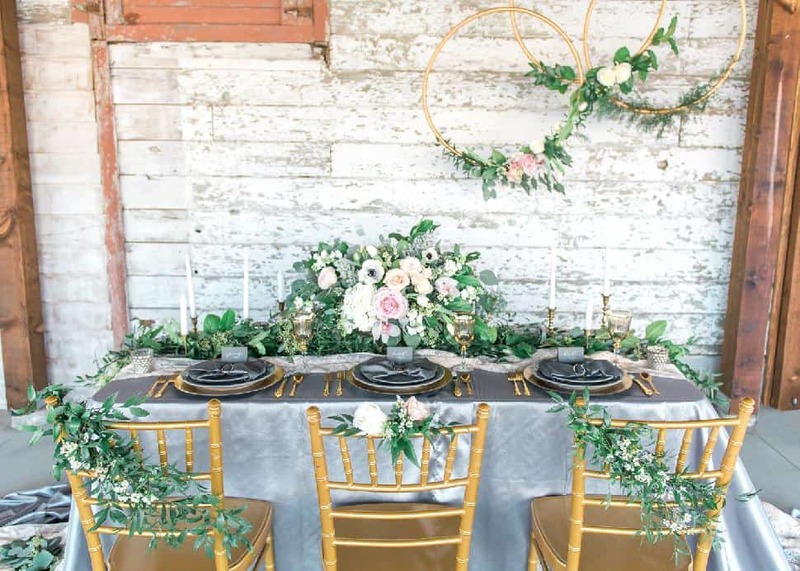 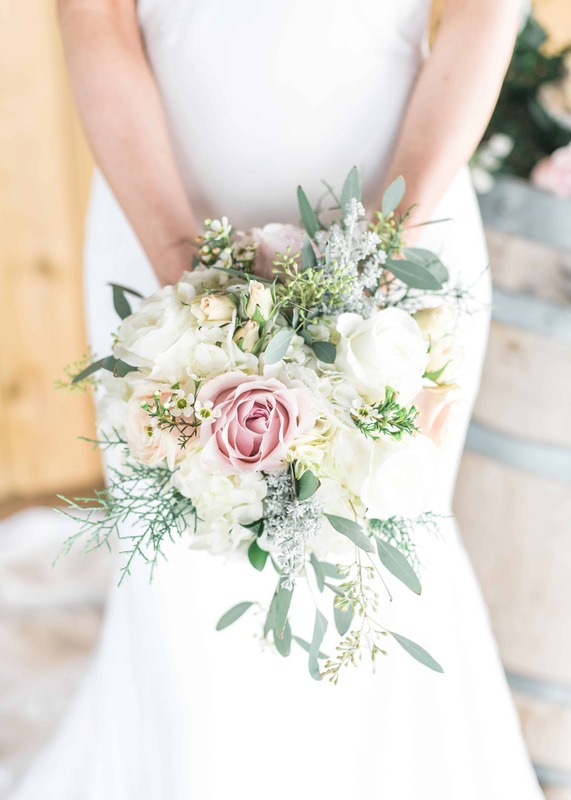 "Look one is a more budget-friendly version in which the florist used less expensive greenery and in a way that kept labour hours very limited as well. 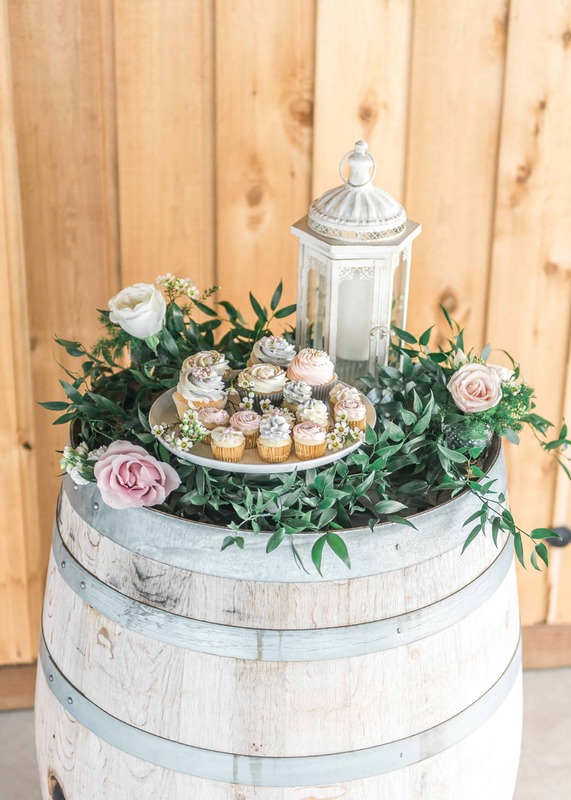 We used cupcakes in this look rather than a fully decorated wedding cake as in the next look. 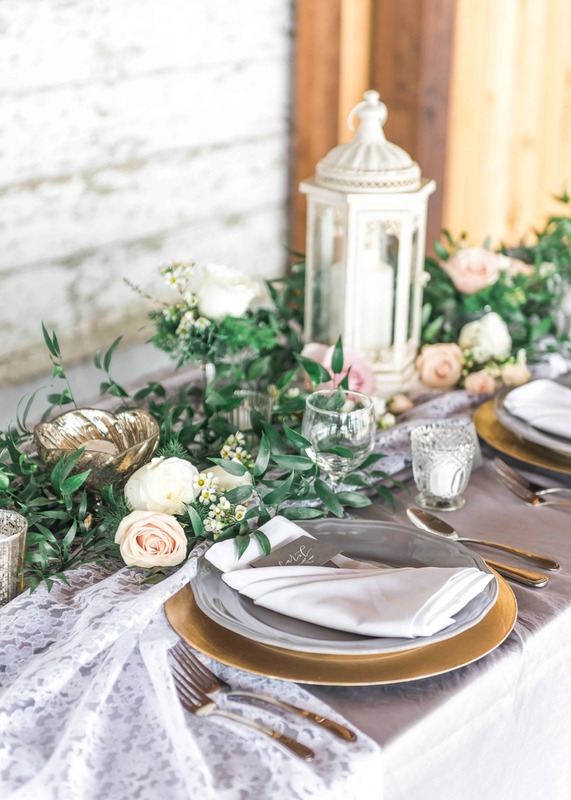 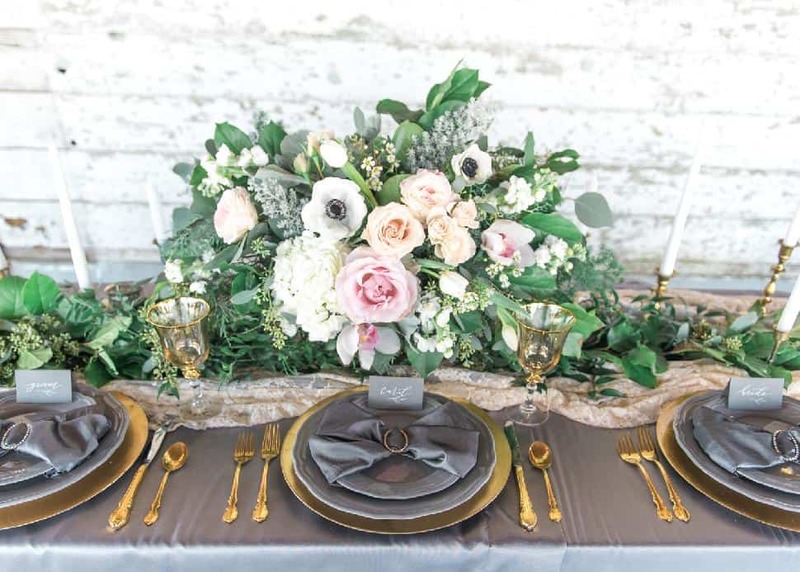 "Look two is the higher-end look in which we used more linens to add texture and fullness as well as taking it up a notch with both the decor (including using gold cutlery) and florals used." 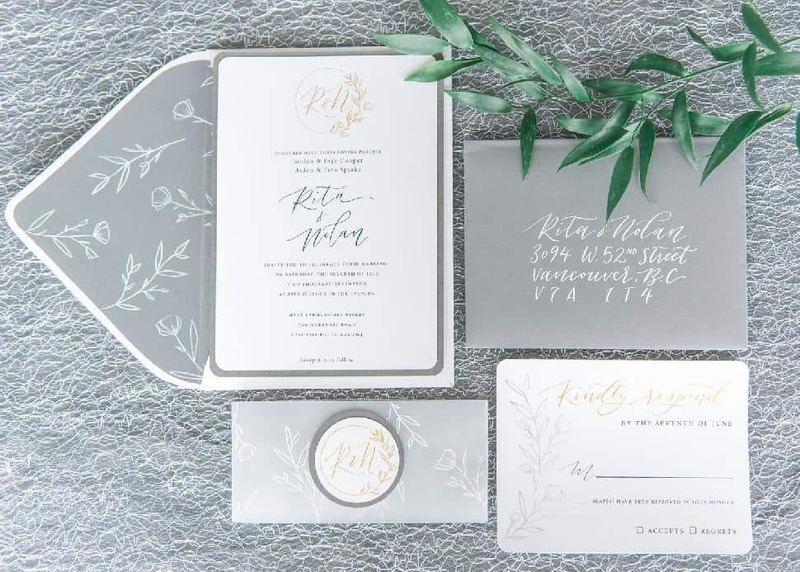 "The same set of stationery was used in both looks. 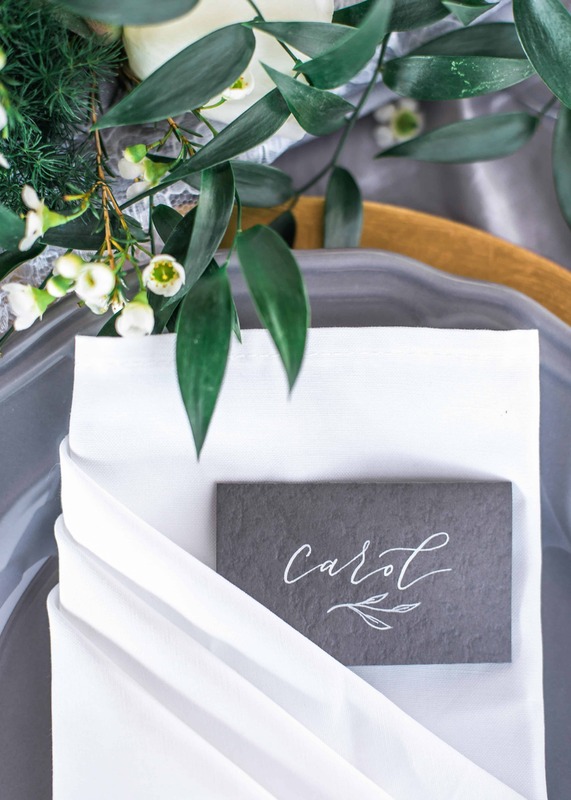 Place cards start at $1 based on black ink on white card stock with a $0.25 increase per change. 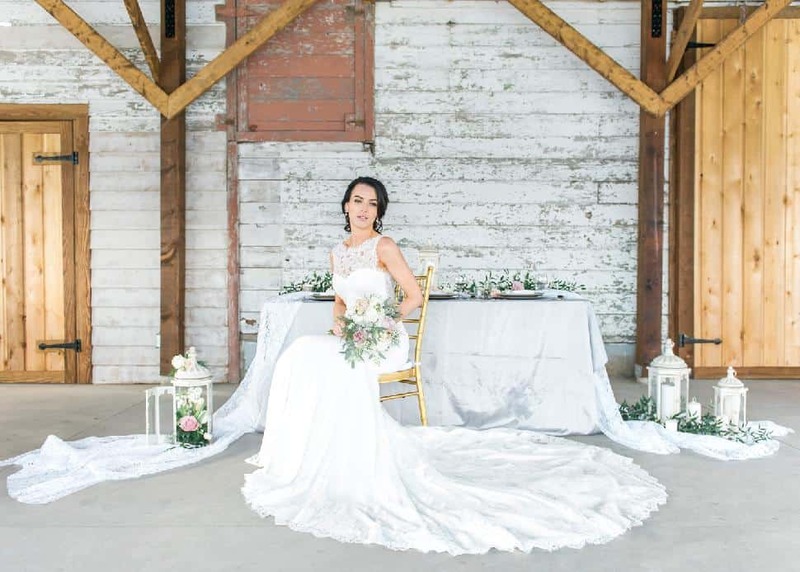 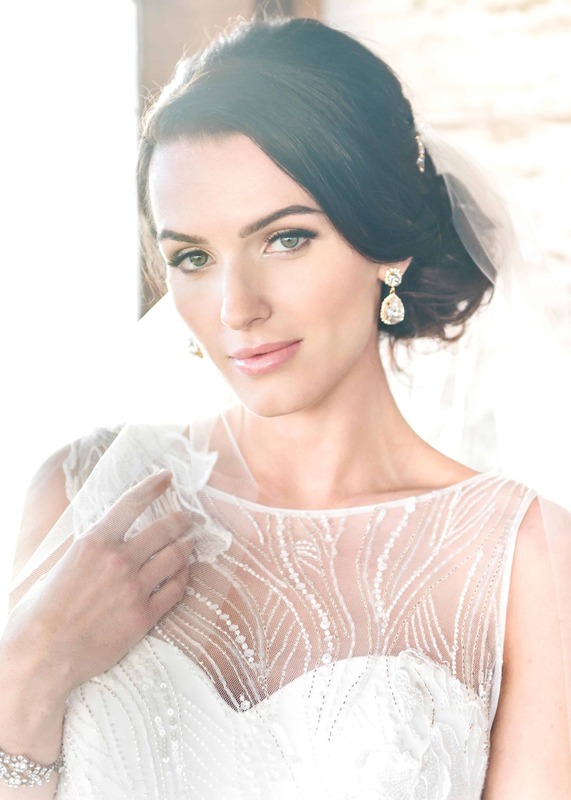 The place cards used in this shoot would be around $1.50." 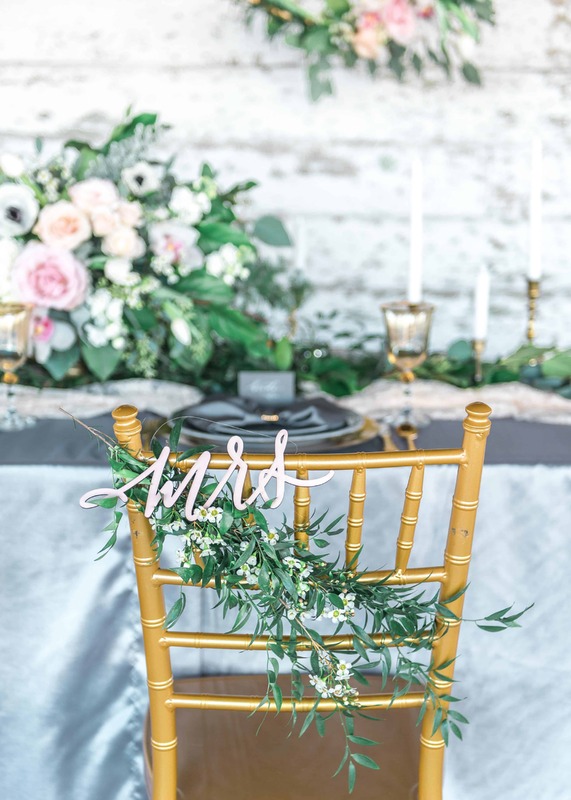 "Laser-cut signs start at $25 and are priced by size. 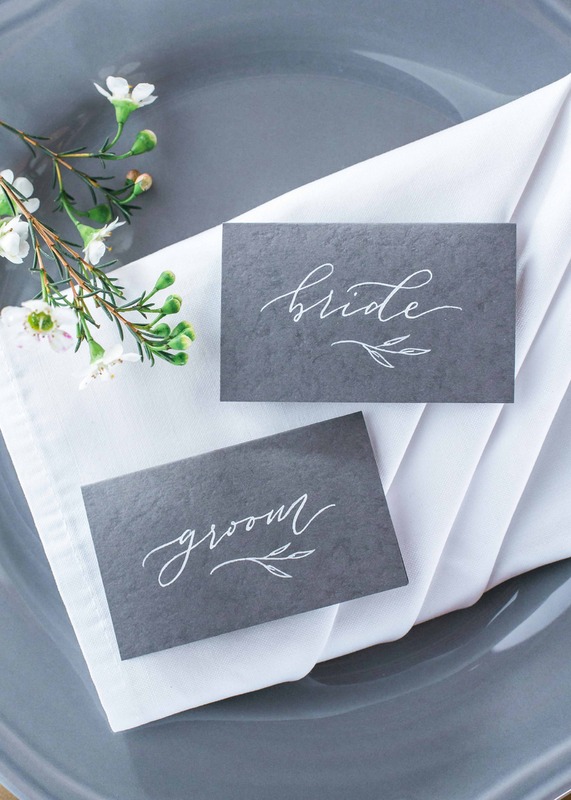 The Mr. and Mrs. belong in the small category and are $25 each. 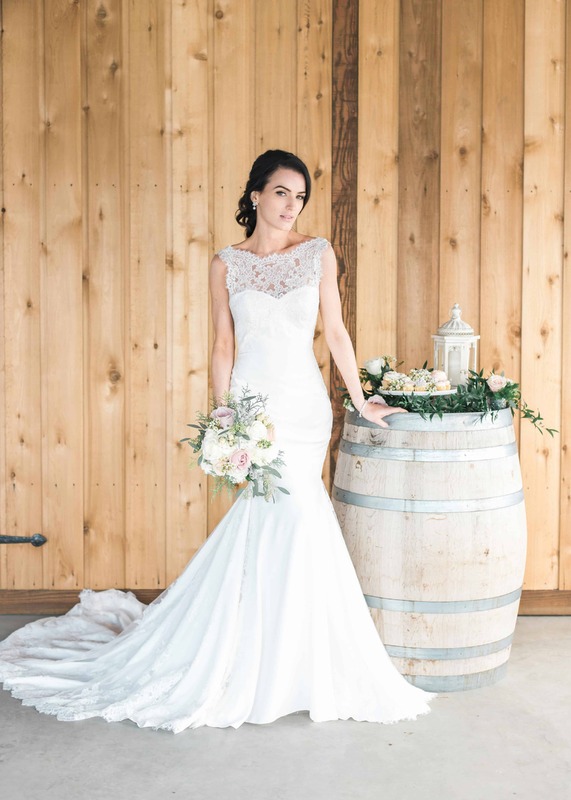 Medium-size start at $50, large size start at $75, and extra-large starts at $100. 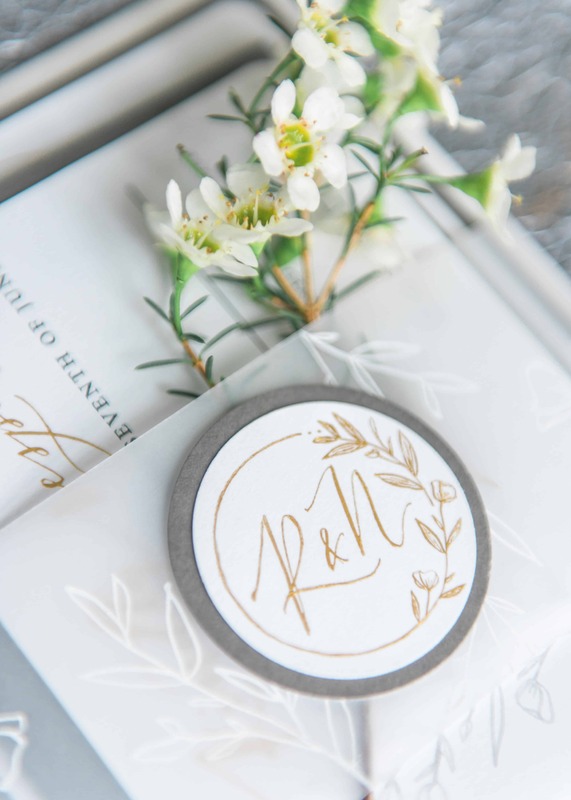 Pricing details can be found on Rintzy Lee Calligraphy & Design."